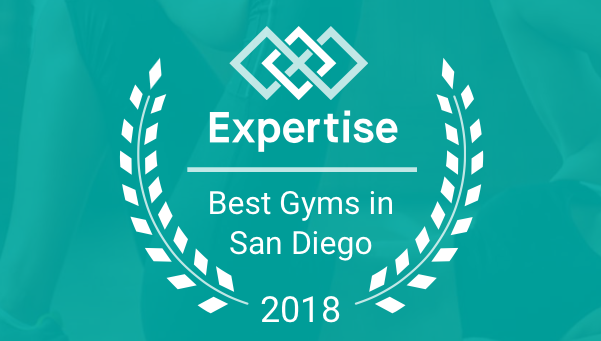 TruSelf Sporting Club is named one of the best gyms in San Diego for 2018! Voted on by Expertise.com we are always honored and excited to be nominated in the San Diego Fitness Community. One of the many reasons TruSelf Sporting Club was named one of the best gyms in San Diego was because of our highly educated fitness staff, having nationally-recognized partnerships such as the Nationally Academy of Sports Medicine (NASM), San Diego State Fitness Department Internship Program (SDSU), University of California San Diego Eparc Lab (UCSD), University of San Diego (USD), World Instructor Training Schools (WITS), and our nationally-recognized Certified Personal Trainers. Not to mention; TruSelf Sporting Club has all of our brand-new gym equipment, provides world class customer service, and with our local community involvement in Allied Gardens, Del Cerro, San Carlos and La Mesa neighborhoods, gives us the winning formula to be one of the best gyms in San Diego! Lastly, all of our premium group exercise classes are for free included with the membership as well as two complementary appointments with our nationally recognized personal trainers and a fifteen minute massage with our in house massage therapists. See our Group Exercise Class Schedule, Massage Therapists and Personal Trainers.